Justin and Ryan just graduated from High school and we are invited to to their graduation party tonight! 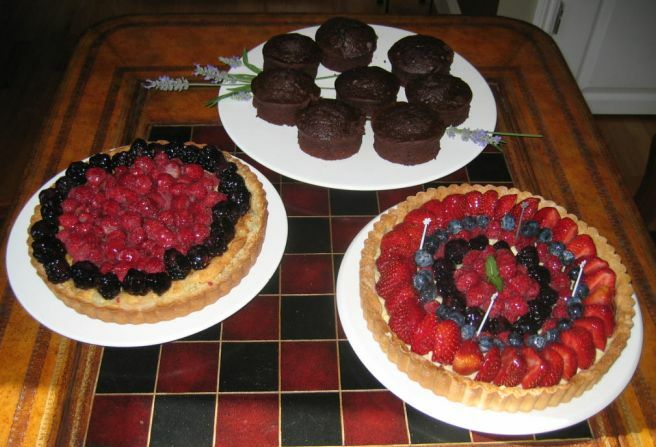 I promised Hanh to take care of desserts so she can concentrate on the preparing the food for the party. Anyway, I came up with a few desserts for the evening. 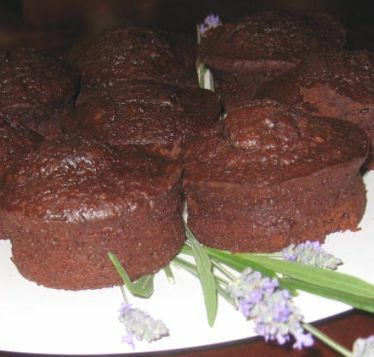 Chocolate with date and walnut pudding cake. 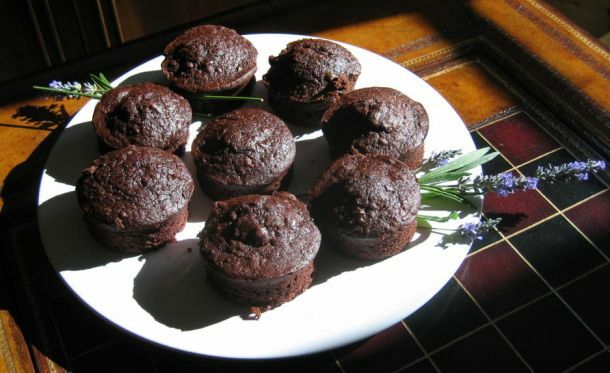 This dessert is best eaten warm with a cold scoop of vanilla Ice cream. 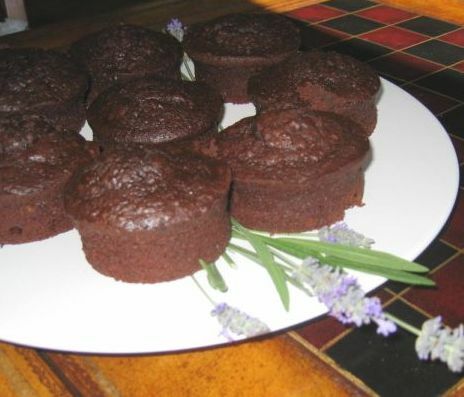 Closer look at the Chocolate pudding cake. 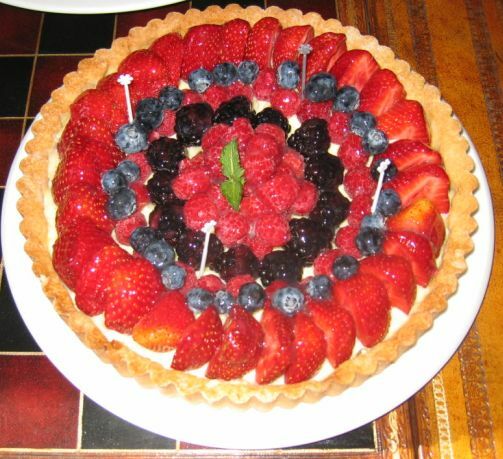 The second dessert is the ever classic fruit tart with crème pâtissière filing. I really like to make this tart because it is so beautiful to look at. The colors are so vibrant and everyone seems to enjoy eating it. 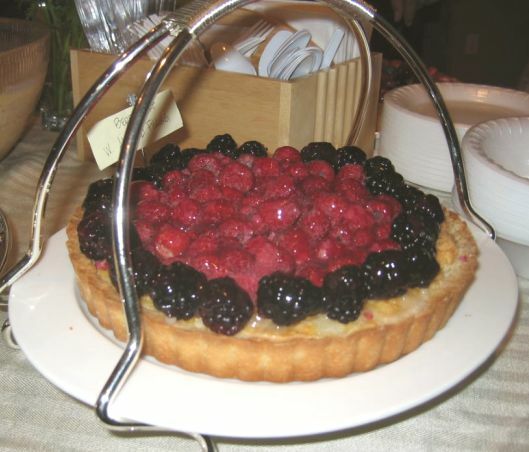 The third dessert I made is a Berry Tart with Almond filling. 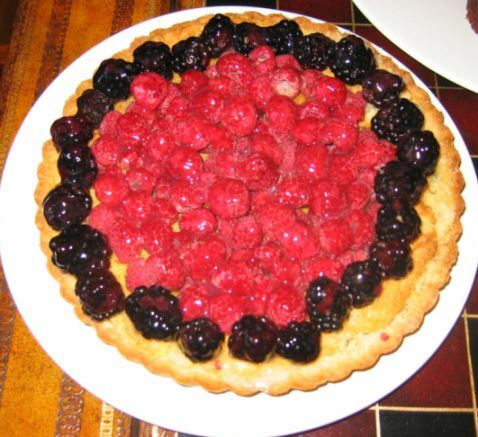 This is probably one of my favorite tart. I love almond so anything with almond is great! 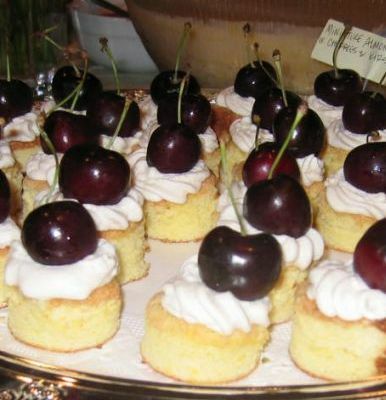 The last dessert is a miniature almond cake with cherries and Kirsch cream. This is the first time I made this dessert and it turned out to be so good. 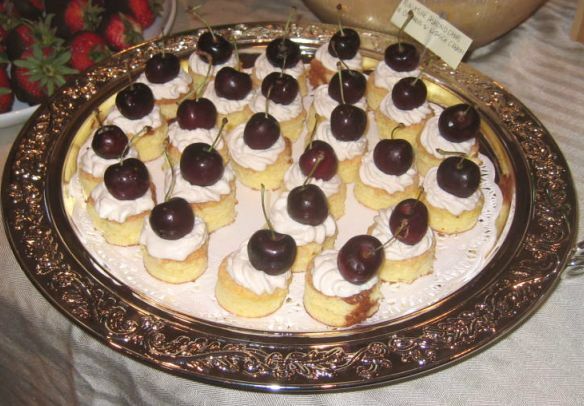 The cake is light, fluffy and moist, combined with Kirsch cream and a juicy large cherry on top of the cake was just the perfect bite size dessert! All I need is to put some plastic wrap on the desserts and they are ready to be taken to the party!